Stop growing and you’re already shrinking. Resolve to hang on to what you’ve got and you’ll probably lose it. Stick to what you’ve always known and you are getting stuck. The best bet in life is to give up self-defence – and march ever onwards. This came to me, when I was talking to a nice person at work, about her natural desire to protect what she has. When we feel vulnerable or change is in the air, we all get defensive. I admitted I had felt very much the same, until quite recently. Then something I read about the Romans came to my assistance. Historians sometimes mark the height of the Roman Empire as Marcus Aurelius’ defeat of the Germanians. But you can trace the start of its decline two emperors earlier, to Hadrian’s decision to stop advancing and instead build walls. The construction of walls marked the edge of civilisation and was designed to keep out barbarians. 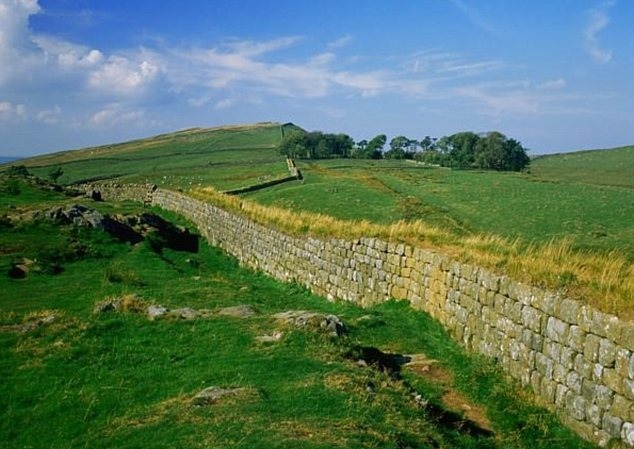 For which, Hadrian famously put one up across the North of Britain. My conversation partner and I reflected on the fact that perhaps life, and indeed working life, are much the same. Keep moving forward, keep an open mind, keep learning and doing new things; and momentum, new challenges and opportunities come along. Hunker down, dig in and hang on – even behind the most impressive fortifications, and you’re already sinking into decline and fall. And this couldn’t have been more amply demonstrated, than in a valedictory interview I watched, between two ageing newsmen a few day later: one, retiring, cynical, dogmatic and closed minded; the other delightfully open, interested and enthusiastic about life, other people and the world. There are always more intellectual aqueducts to construct, chasms of ignorance to span with new bridges and viaducts, roads to pave to fresh knowledge and ideas. Whatever the temptation to stop, rest or settle, the best answer is always to keep moving on, growing and learning.